We’re being bombarded daily with lies, not just from the mainstream news media, but also from the medical community. A former heart surgeon is now on a personal crusade to expose the lies peddled to the American people regarding heart disease, including pharmaceutical television ads and misinformation given to us by our doctors. 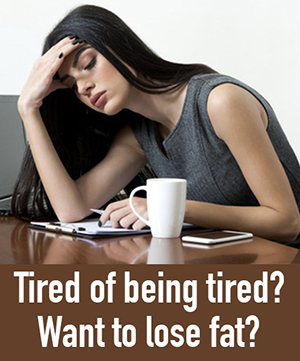 Tired of being tired? Want to lose fat? Wouldn’t it be great if we could regain the health and energy we had in our youth? In 2012, the late prophet Bob Jones prophesied God was going to give us wisdom for our health that would cause us to avoid needing healing because we would understand how to avoid getting sick. I am seeing the fulfillment of that prophecy in my own life as God recently helped me find some vitally important information I needed to overcome my own health problems, which I am sharing in this post. The man of lawlessness never misses an opportunity to twist the truth and take credit for things he had nothing to do with. The more time passes, the more we learn about our federal government’s assault on our Constitutional freedoms passed by Congress in 2011 in the name of fixing our health care system, commonly known as Obamacare. It empowered the federal government with new ways to punish people of faith by taking away their freedom to follow their religious convictions. The antichrist spirit operating through Obamacare is becoming more evident as the details of the plan are implemented. A prophetic warning shared by Denika Alston on November 29 2015 warned about something bad coming in two moons and three days. See her post, In Two Moons and Three Days It Will Come. Since we don’t count days in moons anymore there were different ideas about exactly when that would be, but if we add two months we get to January 29, then add three days and we get to February 1 2016. Pastor James Durham, founder of Higher Calling Ministries, regularly posts words and visions that he has received from the Lord. Last week he posted the following warning about an enemy attack on our water supplies, making them unsafe to drink. Despite getting clobbered in the fiscal cliff negotiations, Republicans have something to celebrate this year — the survival of health savings accounts, or HSAs. They had feared that President Obama would obliterate this critical cost-saving tool. Sure, the president had promised that ObamaCare would not bar HSA-qualified plans from health insurance exchanges. But we had our doubts.